Another academic year ends and another round of degree shows have been installed, visited and removed – all in a matter of weeks. It seems like a good juncture to reflect on the role these exhibitions play in shaping our experiences of higher education (whether as student or as audience). Supposedly the culmination of years of study, the degree show symbolises not only your past and current educational achievements but also your speculative Real World Future(s). Solitary and competitive, collaborative and public, they can be a costly affair, both financially and emotionally. They have become a site for industry and institutional judgement, but do they have potential to be a space of disruption, occupation, agitation and protest? Over the course of the evening, we hope to unpack some of these dualities with our invited speakers and attendees. Students/graduates/teachers are welcome: maybe you never attended Art School but Degree Shows are your only entry to the campus – all opinions are valid and welcome! 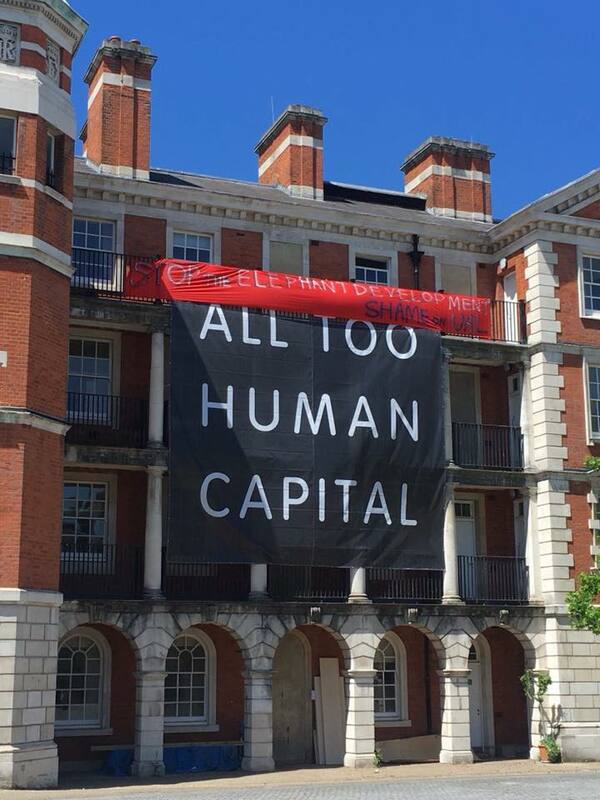 Part of a series of protests from recent graduates showing at Chelsea, in solidarity with the campaign against UAL's involvement in the regeneration of Elephant and Castle. Stop the Elephant Development, is the student offshoot of the wider community campaign Up the Elephant, which seeks to amplify the local residents and traders growing concerns over the recently approved regeneration plans for Elephant and Castle by developers Delancey. The student activists wing aims to highlight UAL (LCC) involvement in the gentrification process – partnering with a major property developer in order to secure the site and approve construction of a new campus, alongside luxury flats and a new shopping centre.